FOR EXTERNAL USE ONLY! Although this blend has 25% pure essential oil, 75% is fragrance oil and is only used for topical applications and aromatherapy! This blend makes a great infusion into our Moringa Seed Oil! Amazingly, these biblical oils are extracted in an incredible way. Both frankincense and myrrh are resins – hardened sap from trees. In both cases, trees are slashed and allowed to “bleed.” The sap that comes from the trees hardens and forms beads or “tears.” It’s amazing that the Lord bled for us and also had tears of blood as His appointed time on that Cross approached. Our product offering would not be complete if we did not offer these special scents. Not only do they smell fantastic and a fantastic infuser to our Moringa Seed Oil, they have many other aromatherapy benefits too. We should not be surprised as they were gifts to honor King Jesus! In addition to the honor and status implied by the value of the gifts of the magi, scholars think that these three were chosen for their special spiritual symbolism about Jesus himself—the gift of gold to the Christ child was symbolic of His divinity—God in flesh. The gift of frankincense to the Christ child was symbolic of His willingness to become a sacrifice, wholly giving Himself up, analogous to a burnt offering. Myrrh, which symbolizes bitterness, suffering, and affliction; a prefiguring of His death and embalming. The baby Jesus would grow to suffer greatly as a man and would pay the ultimate price when He gave His life on the cross as a sin offering for all who would believe in & obey Him. 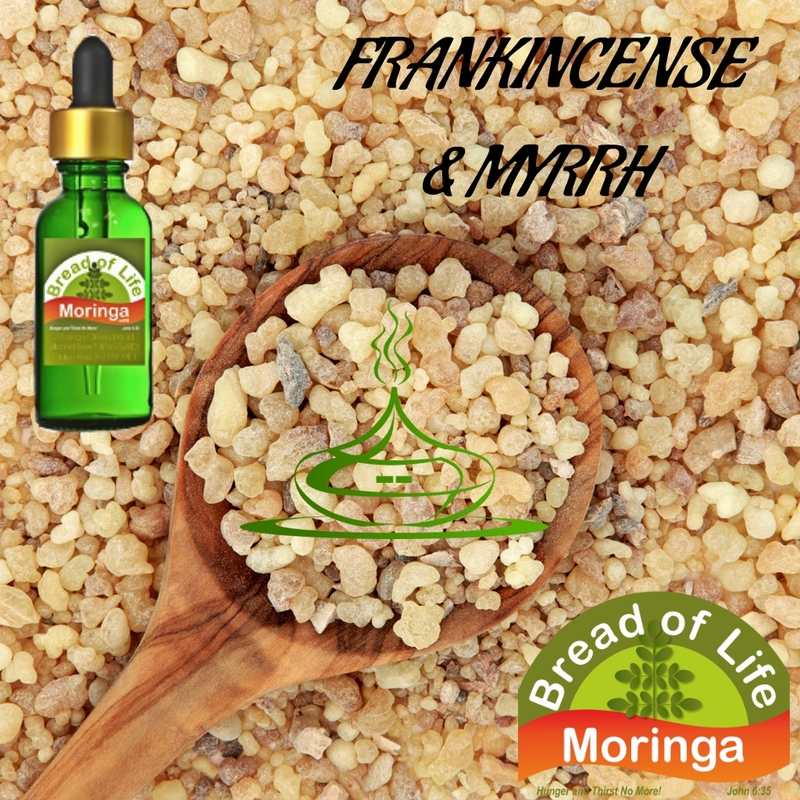 Frankincense and Myrrh Essential Oil blend is heavenly! On top of those divine gifts, did the magi “from the East” know of frankincense’s healing properties when they presented it to young Jesus? Our oil contains 25.3% of essential oils and resins. The remaining components are natural and synthetic aroma ingredients so you get the very best of both worlds without paying an exorbitant amount of money. 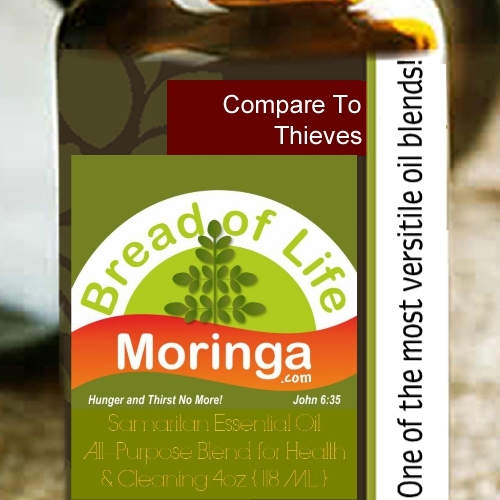 Bread of Life Moringa certifies that this fragrance product is in compliance with the standards of the International Fragrance Association, provided the fragrance is used in the above application (s) at the noted maximum concentration level(s).